The Bermuda Yoga Festival will hold a screening of the award-winning documentary film Yogawoman in the Tradewinds Auditorium of the Bermuda Underwater Exploration Institute on December 1st. Narrated by Academy Award nominee Annette Bening, the film has won six international awards. Yoga was brought to the west from India by a lineage of male teachers, but now there’s a generation of women who are leading the way and changing the face of yoga. 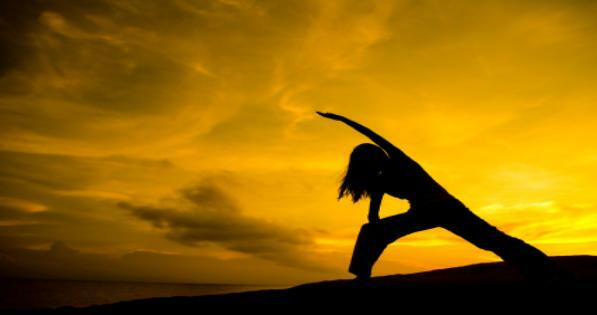 In record numbers, women are discovering their own strength, vitality, peace, and power through yoga. Reclaiming this ancient spiritual path from its traditionally male form, the result is a radical transformation of modern yoga, as we know it. Through rich personal stories, Yogawoman reveals how yoga has utterly transformed the lives of thousands of over-stimulated, over-scheduled, and multi-tasking modern women. From the buzzing streets of Manhattan to the dusty slums of Kenya, from the golden beaches of Australia to the serene piazzas of Italy, the film follows the heart-rending stories of women who have found a lifeline through this magical and mystical practice. With vivid detail and poignancy, the film shows how women have embraced yoga for easing health conditions like breast cancer, infertility, heart disease, and anxiety and depression. It illuminates how yoga has transformed the lives of women in prison, cancer survivors, and those struggling with body image or eating disorders with candor. Two of the yogis profiled in the film – teacher and author Elena Brower as well as master teacher, healer and author Nischala Joy Devi – will present at the Bermuda Yoga Festival. The festival, the first of its kind to be held in Bermuda, will feature an all-star line-up of international yoga teachers and kirtan artists, giving both locals and visitors exposure to the vast tapestry of yoga styles and teachings. The film will screen on Sunday, December 1 at 3pm. Tickets, costing $20, are on sale now from the Oceans Gift Shop, BUEI, or by calling 294-0204. Passes for the four-day festival are available online; you can save $100 on a full festival pass by purchasing it before December 1 for the discounted price of $395. For more information about the festival, see visit its official website.